New Mandala Associate Editor Mish Khan trails through the past fortnight in Southeast Asia to bring you the childish, the cheeky and the crazy from the region. This week she brings you dubious claims to royalty, monster truck madness and bad-mouthing over bridges. 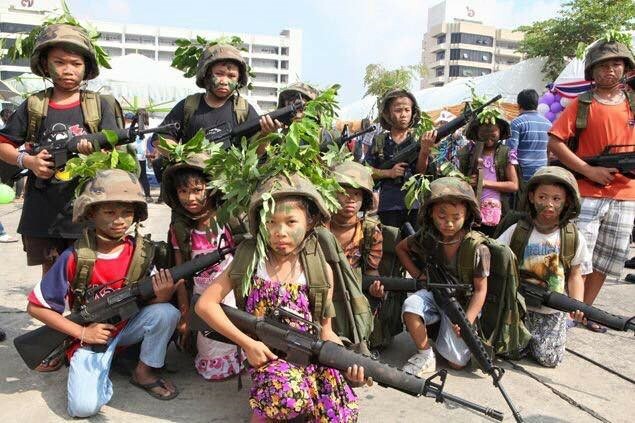 Thailand celebrated its National Children’s Day last week, which falls on the second Saturday of every year. The holiday, which is intended to celebrate the significance of children towards the country’s future, provides for some surreal imagery. 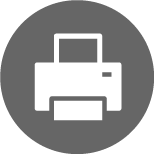 Following are a few eye-opening examples. 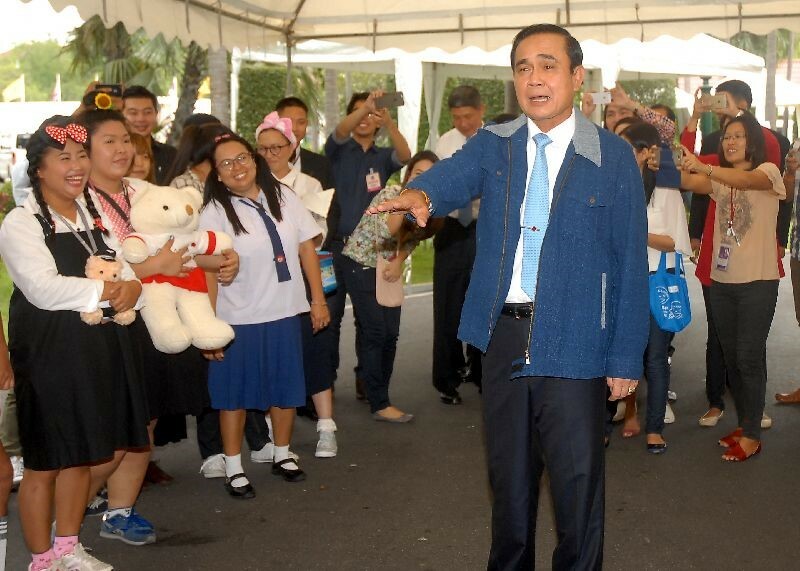 Reporters dress up as school children to attend a lunch party at Government House, joined by military chief Prayuth Chan-Ocha, who stated “You reporters are all cute. 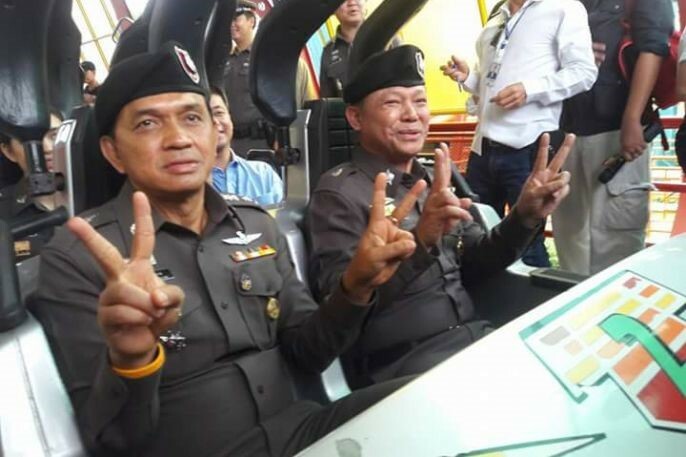 I’m not angry at any of you.” Thai media freedom has taken a plunge since the military government seized power in 2014. 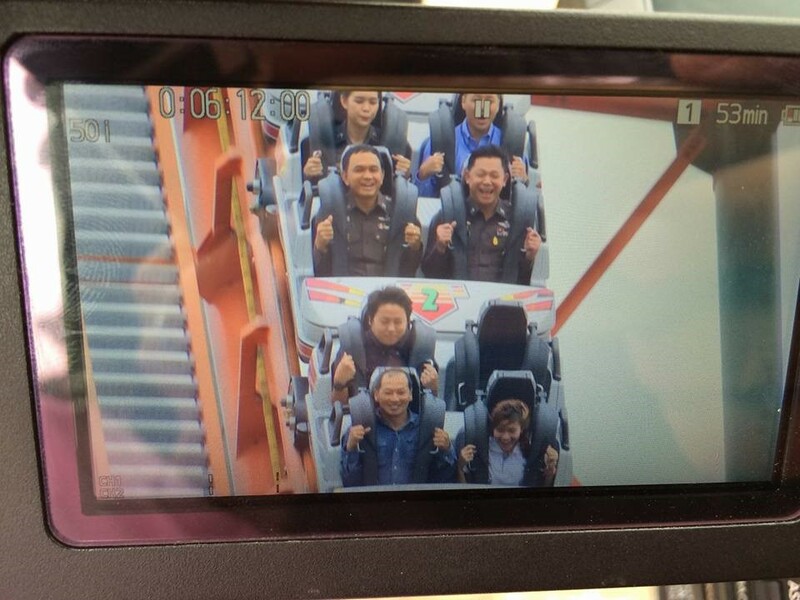 Acting Metropolitan Police Chief Sanit Mahathaworn (left) and Deputy Commissioner-General of Royal Thai Police Pongsapat Pongcharoen (right) personally test ride a roller coaster. 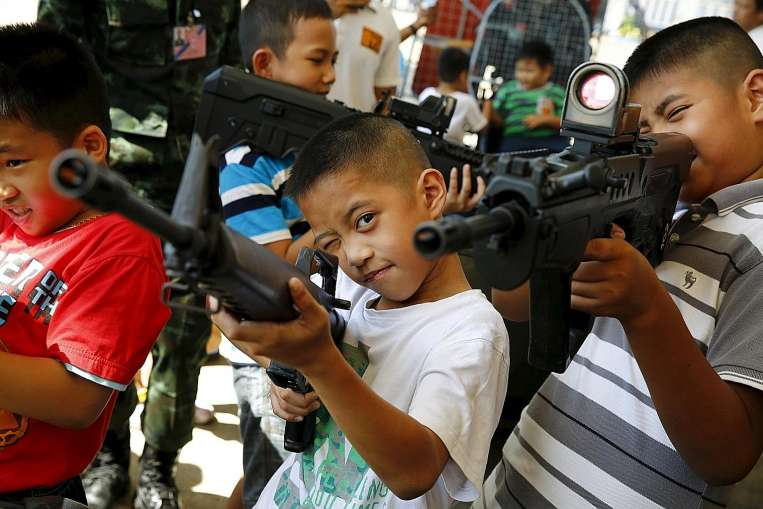 Military facilities are open for children to play at on the day, and military hardware is transported around the country for display purposes. 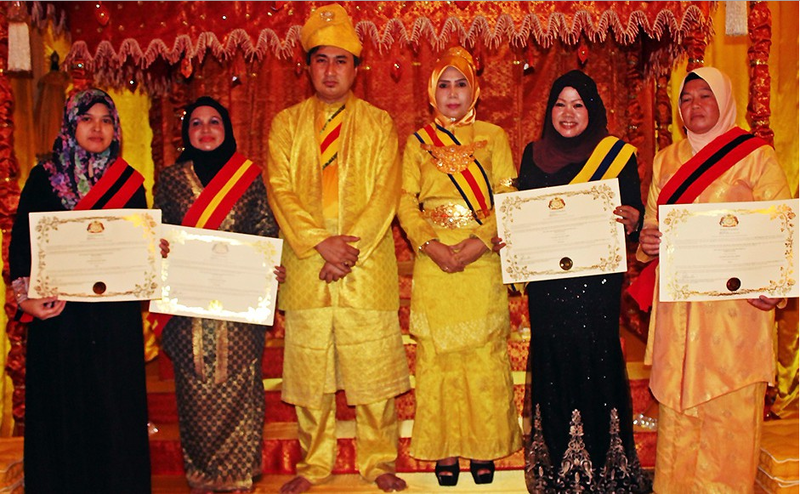 An Indonesian woman claiming to be “Queen-Mother of the Malay Archipelago” was arrested last Friday in Malacca, after arranging a lavish investiture ceremony to which members of the public were invited. She has now been released on bail. The self-proclaimed Queen, who goes by the title “YM Bonda Ratu Kuasa Alam Kesumo Dinigratd Tun Saripah Muraini“ (which roughly translates to Queen-Mother of Nature) claimed to inherit supernatural powers from her royal bloodline, including the ability to cause rain and windstorms, which would have been useful in dousing dangerous forest fires in Indonesia last year. Police said the case was being investigated under Section 419 of the Penal Code for cheating by way of impersonation. Several weapons were seized during the raid, including a magical dagger adorned with the head of a dragon, apparently sent to the Queen-Mother from the skies. If you’ve been reading the Southeast Asian snapshots column regularly, you may remember Johor Sultan Ibrahim Iskandar shelling out millions on a custom Mack truck from Australia last year. After much anticipation, the wait is finally over. 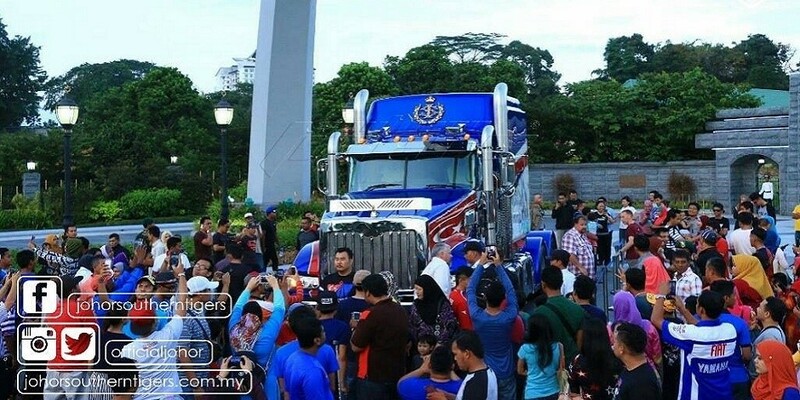 The monster truck, modelled after Optimus Prime from the Transformers movie series, was parked outside the royal palace last week as hundreds flocked by to take selfies with Johor’s newest point of pride. The truck boasts a six-camera CCTV system, two flat screen TVs, a stone-topped kitchen area, barbecue, double bed and seats with 72,000 stitches of gold thread. In the most recent bout of bickering to demonstrate the ridiculously non-existent culture of dialogue in Cambodia, there have been heated words exchanged over whether Prime Minister Hun Sen named a new overpass to honour his marriage anniversary. 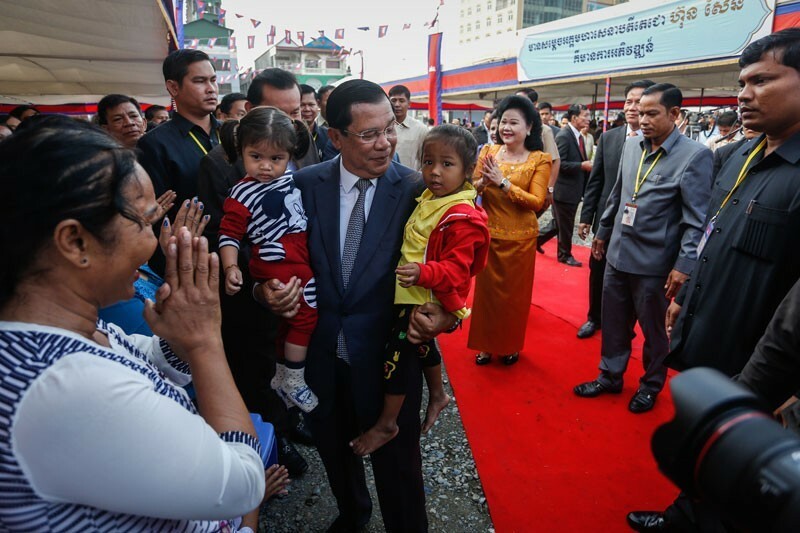 The inauguration ceremony of the $14 million Techno Flyover Bridge was attended by Hun Sen on 5 January, who announced it would be renamed the “Pram Makara” (January 5) bridge. Rumours and reports quickly spread that the name was an 40th anniversary gift for his wife. Yim Sovann, spokesman of the opposition Cambodia National Rescue Party, was quoted as saying there were many national heroes more worthy of the honour. Hun Sen quickly denied the rumours and accused the opposition of fanning them, stating that Sovann should “…not be crazy… stop causing trouble… he is just like his boss and that’s the reason why the party lost the election”, and that his marriage anniversary coinciding with the inauguration date was a complete coincidence. 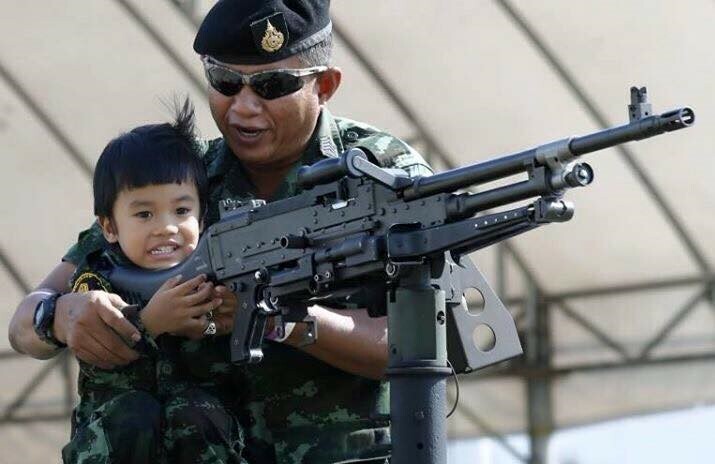 The Thai military government has taken up the late King Bhumibol’s philosophy and knowledge as the main theme of the 2017 Children’s Day. 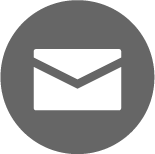 On 11 January 2017, Col Thaksada Sangchan, Deputy Spokesperson of the Prime Minister’s Officer, said that from 8 am-3 pm on 14 January the government will organise an event for Children’s Day at the Government House in Bangkok, according to Wassana Nanuam, the Bangkok Post reporter.